The Harrow Apollo Male Choir is returning to Slough, following its first visit last year, which went well, hence the invitation to return. We will be performing a concert in aid of 3 local charities at 7.30 pm on Saturday 16th June at St Mary’s Church, Church Street, Slough, SL1 1PJ. 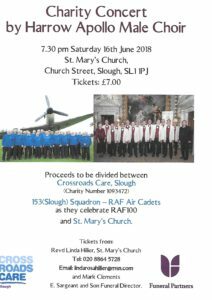 Lots of popular songs from the full choir plus some solos have been planned for this performance which is raising money for Crossroads Care, Slough; 153 (Slough) Squadron – RAF Air Cadets and St Mary’s Church. Tickets cost £7 and full details of how to get hold of them are on the poster. Click the image below for a larger version. Crossroads Care is a charity which was set up 20 years ago and provides care and care-related services for people in Slough and their carers. They provide a wide range of services for all age groups, disabilities and health conditions. For more information, see their website by clicking the link above. Four Air Cadets from 153 Squadron RAF attended the recent garden party at Buckingham Palace to celebrate the Prince of Wales’ 70th Birthday that made the news headlines as the first event officially attended by the newly married Duke and Duchess of Sussex. You can read more about this and their other activities on their Twitter feed by clicking on the link above. St Mary’s is a popular venue for musical and theatrical performances and has been hosting Saturday lunchtime concerts since 1990. These take place every week and last for about 35 minutes. Longer productions also take place and have included the world-premiere of Ben Harris’s children’s opera, The Adventures of Badir Basim, Andrew Lloyd Webber’s Joseph and his amazing technicolour dreamcoat, J. S. Bach’s Saint John Passion, Benjamin Britten’s Noyes Fludde and Modest Mussorgsky’s Pictures at an Exhibition. 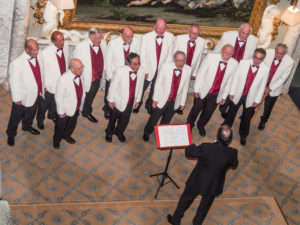 Notable performers have included the English Chamber Orchestra, the Choirs of Christ Church Cathedral Oxford and Selwyn College Cambridge, and the Cantorum Choir. 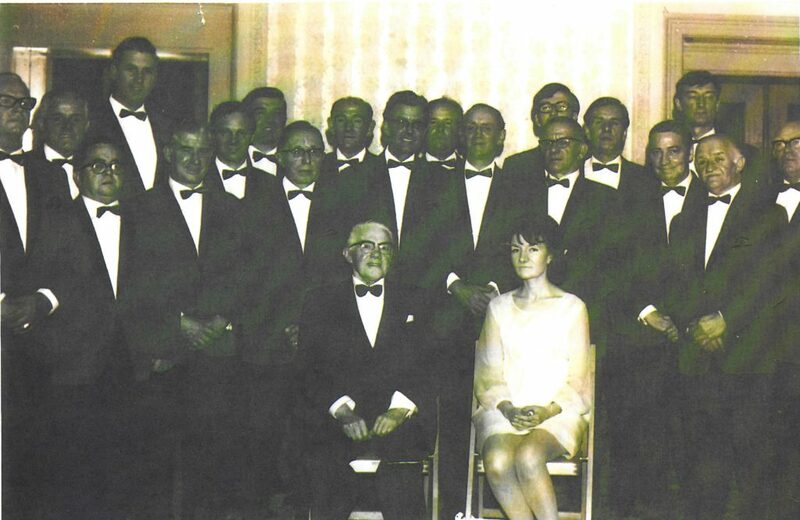 The Harrow Apollo Male Choir was originally founded at the de Havilland Aircraft Factory in Edgeware in 1941 and has maintained links with the aircraft industry and the RAF throughout its history, so it is particularly pleased that some air cadets will be in attendance and that their squadron will benefit from 1/3 of the concerts’ proceeds. It is quite likely that the choir’s unofficial signature tune- The Dam Busters’ March will be featured to mark this event. You may be interested in reading our Latest News: Community News Blog article: Dambusters Remembered 75 Years On.